Click on the quiz for which you would like to align to a standard; doing so will cause a horizontal bar of related management options to appear below the quiz title. From the horizontal bar, click on Edit. 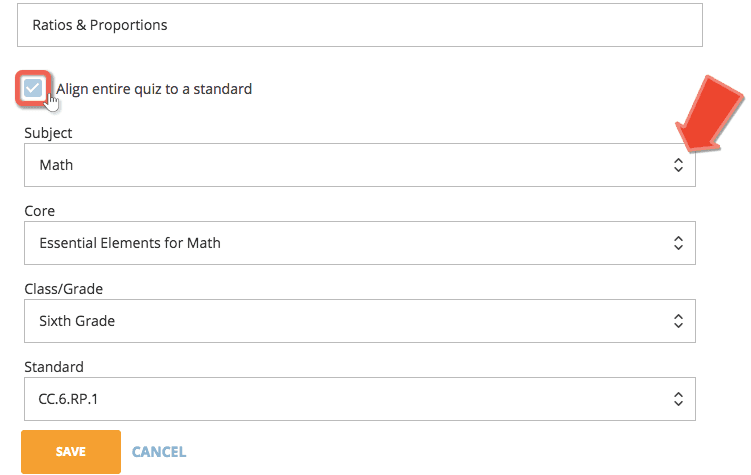 Check the Align entire quiz to a standard box, then use the arrows located at the end of each standard field to hone in on the one you want to use; you can filter by Subject, Core, and Class/Grade. 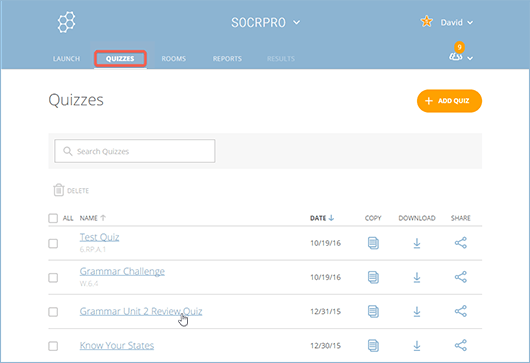 Note: The ability to align quizzes to a standard is also accessible from the Create Quiz section. Click Save & Exit at the top of the standard to align it to your quiz. Note: Any standards that are aligned with your quiz will appear in your reports.